An affordable expedition to Antarctica is usually considered an oxymoron in many ways. Is this not the most expensive place in the world to visit, after all? Well, not if we get our way! The way we see it, whilst travelling is undoubtedly a luxury, an expedition cruise to the most spellbinding place on earth should be within everyone’s reach. This is, after all, one of the planet’s most important natural treasures, one that everyone should visit for a myriad of reasons. A place that has the ability to turn a mere explorer into an environmental warrior, one that astounds and inspires awe and one that is considered absolutely crucial in our combined efforts to fight climate change. This is one of the many reasons to visit Antarctica sooner rather than later and we’ve gone and made it more affordable than ever. Whilst the exclusivity of this remote destination (and the perceived eyewatering cost of undertaking a trip) used to be the domain of older retirees with a (very) hefty bank balance, we’ve taken steps to offer affordable Antarctica options. 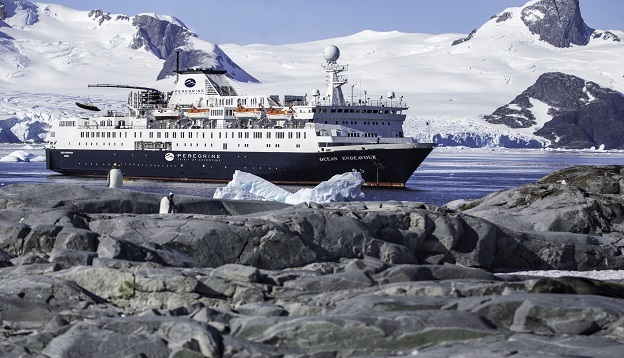 Teaming up with the Ocean Endeavour – taking charge of this exceptional Antarctic expedition ship for three consecutive years – Chimu Adventures, together with our partner, Intrepid Group, is offering a new range of small-group polar expeditions. The newly-refurbished Ocean Endeavour offers a fantastic array of amenities and optional activities and takes serious steps to offset her carbon emission. We think there’s no better ship with which to visit Antarctica. Experiential and sustainable travel is at the forefront of all we do here at Chimu Adventures and choosing to team-up with the Ocean Endeavour further cements our stance that travel, anywhere in the world, should be not only rewarding for guests but also have a minimal an impact on the environment. We travel to raise awareness and preserve and we’d love for you to join us. There’s no denying that the demand for Antarctic expeditions is on the up and up. Everyone wants to visit this magical place and immerse themselves in pristine wilderness that’s far removed from the rest of the world. More importantly, it seems more people are aware that an Arctic expedition is unlike any other kind of journey. Expeditions to the far south are educational, confronting and unforgettable. 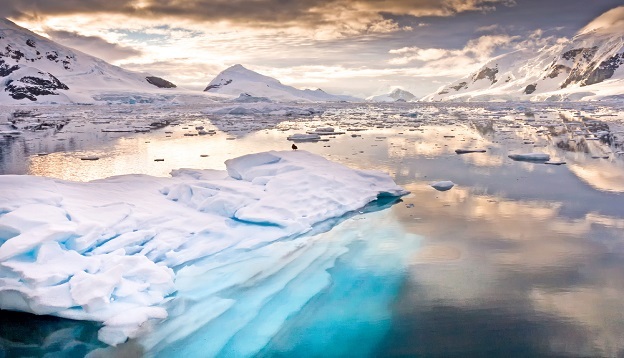 Join an expedition ship bound for Antarctica and you won’t just experience a sensory overload meeting penguins, kayaking among enormous icebergs and retracing the steps of old-age explorer but you’ll gain a deeper understanding of how our planet works and how dependent it is on a stable climate. The increase in demand for affordable Antarctica expeditions was just the impetus we needed to take our bold step: charter the Ocean Endeavour for three years, beginning the cruising season of 2020, to offer once-in-a-lifetime voyages starting from A$7,090. The most coveted destination on earth is now the most affordable it’s ever been – and this is your chance to come on board. The Ship: Unlike cruise liners usually found in more tropical destinations, polar expedition ships float in a world of their own. They’re expertly built to deal with ice-packed polar waters, boasting superior navigation to get you to the most isolated and remote nooks of Antarctica. The Ocean Endeavour is small and compact enough to navigate channels larger ships simply can’t get to, which is what makes small-ship cruising so very rewarding. In Antarctica, it’s an absolute must. Yet given this is the 21st century, the Ocean Endeavour also offers a superb level of comfort, with spacious cabins and plenty of deck space to allow for unencumbered wildlife-watching and landscape admiring. The ship is bright and spacious, boasts reading and lecture rooms and a host of cabin categories (13, in fact) to cater to varying needs and budgets. Some interior single cabins are offered with no single-supplement added, a rarity among Antarctic cruise ships. The Amenities: There’s plenty of downtime on Antarctic expeditions and to cater for all tastes, the Ocean Endeavour offers a great array of extras. You’ll find a wellness spa with sauna on board this ship, as well as a gym, stretching and yoga classes, a heated saltwater pool, a lecture theatre where presentations are held, a wonderful library and boutique to boot. The Ocean Endeavour also offers amazing culinary experiences so don’t fear your taste buds will have to miss out on all the fun. For your peace of mind, know that the Ocean Endeavour follows the stringiest sustainable measures by offsetting every single departure, banning the use of single-use plastics and only serving seafood that’s been sustainably caught. The Crew: The Ocean Endeavour is an industry-leading queens of the seas, carrying 200 guests to the ends of the world. She boasts a 1 to 8 ratio of expedition leader to guests, one of the highest in the market. This offers an outstandingly high level of service and if you’ve ever spoken to anyone who’s undertaken such a trip, they’ll no doubt mention this as a pivotal factor to a brilliant trip. An experienced, professional and dedicated crew makes a real difference this far south – leading you ashore, hosting lectures and taking care of you in what is a harsh, remote and at-times even brutal environment. When visiting a place like Antarctica, you’ll want to be in good hands and by teaming up with the Ocean Endeavour we put you, our treasured guest, in the best hands in the business. The Experiences: Despite the enticement of the ship, the most exciting aspect of any trip to Antarctica is the chance to actually get off it and explore. 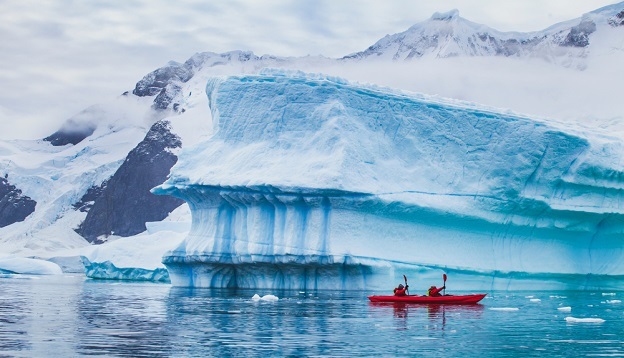 Aside from Zodiac excursions ashore, the Ocean Endeavour offers a great range of optional activities including snowshoeing, kayaking, SUP boarding, hiking, cross-country skiing, ice camping (yes, really!) and specialised photography tours. Our Ocean Endeavour charters to Antarctica will set sail from October 2020. If you’ve always dreamt of an unforgettable and affordable Antarctica experience, now is your chance. Discover our full range of Ocean Endeavour Expeditions to Antarctica and do contact us to know more.